Manchester City have shelved plans to sign Southampton defender Virgil van Djik after Southampton placed a £70m price tag on the center-back’s head. 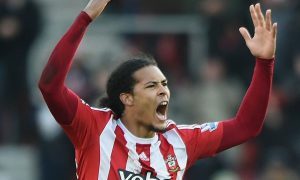 According to Simon Mullock of the Sunday Mirror, Manchester City no longer had any interest in reviving their interest in Virgil van Djik once it became clear that Southampton had hiked their valuation to beyond £50million. City will continue to monitor the situation but will not entertain the price quoted by Southampton. Only a few days ago Liverpool had to embarrassingly retract their own interest in van Djik and right now it looks like Manchester City will follow suit – only with their pride still intact.